Since 1984, we've been establishing relationships with our maintenance customers in the south suburbs of Chicago and Northwest Indiana, many of which have lasted for years and even decades. Our residential lawn care experts are available to help you turn your lawn into the envy of your neighborhood. With our full range of landscape services, we are able to custom tailor a service package which meets your wants and needs. 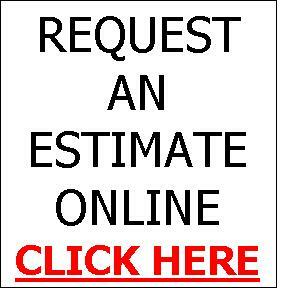 We offer custom lawn maintenance tailored to fit your property and your budget. From basic service to an all-inclusive program, we can fulfill all of your horticultural needs. Our crews are trained, seasoned professional with years of experience and on-going refresher training. All of our machines are commercial machines that are professionally maintained my our mechanic staff. Shrub & tree trimming & pruning are a combination of art and science, and our trimming/pruning crews are extensively trained in both. Whether you prefer a natural or formal style, our crews can provide the exact look you want for your property. One of the final touches on a crisp, clean landscape is cultivating and spade edging the tree, shrub, and flower beds. Cultivation of bare soil can add a manicured look to any property, and when combined with a defined spade shovel edge the look can be quite stunning. Regardless of bedding much or cultivated soil, weed seed will always germinate. Whether perennial, bi-ennial, annual, or grassy weeds, Suburban Landscaping has the trained crews to handle all of your weeding needs. Our weeding crews are trained crews that remove weeds every day, all day and do nothing else but remove weeds. These hard-working professionals can remove your weeds on a on-call basis or a routine weekly or monthly visit. Fertilizing your lawn is one of the best horticultural practices you can do for your lawn, however it is a tricky science to get right. 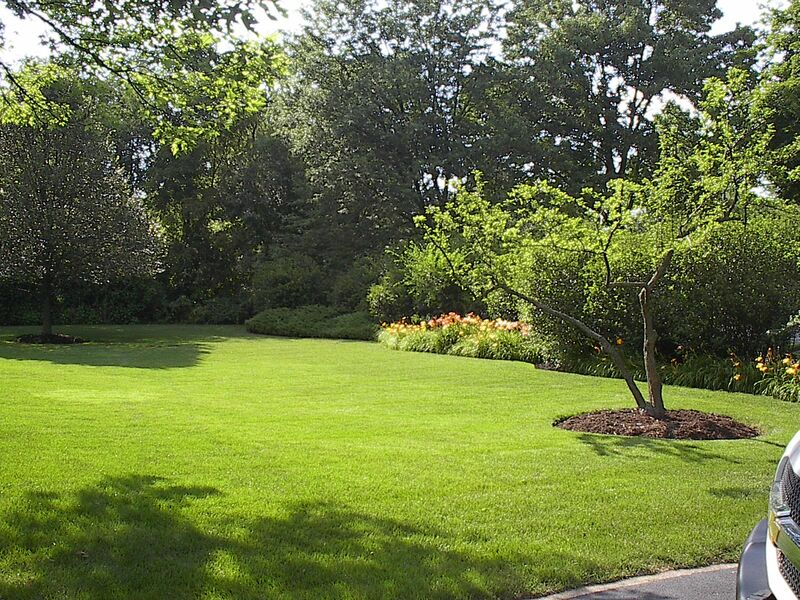 At Suburban Landscaping we are experts at fertilizing lawns. Our 4 and 6 step programs are designed for every budget and horticultural need. Aeration is the process of mechanically punching holes through the grass, thatch, roots and soil. These holes allow air and water to penetrate into the soil and reach the root level. The soil plugs that land on top of the lawn contain bacteria and fungi that help decompose organic matter like dead grass blades and thatch. As organic matter is decomposed, nutrients are returned to the soil. Therefore the soil plugs should be allowed to naturally break down on the surface of your lawn.The soil has to be moist in order for the tines of the aerator to penetrate into the soil. We recommend aerating once in the spring and once in the fall. Lawn and landscape plants are not inexpensive to replace, regardless of the reason they expire. The job of our trained Applicators is to lower the chances that your lawn or plants will expire from disease or insect infestation. Our experienced crews are certified and licensed by the Illinois Department Of Agriculture and professionally trained. They also have the knowledge and skills to identify any disease or infestation your plants may contract. All of the products we use are registered by the Department of Agriculture and the Environmental Protection Agency. 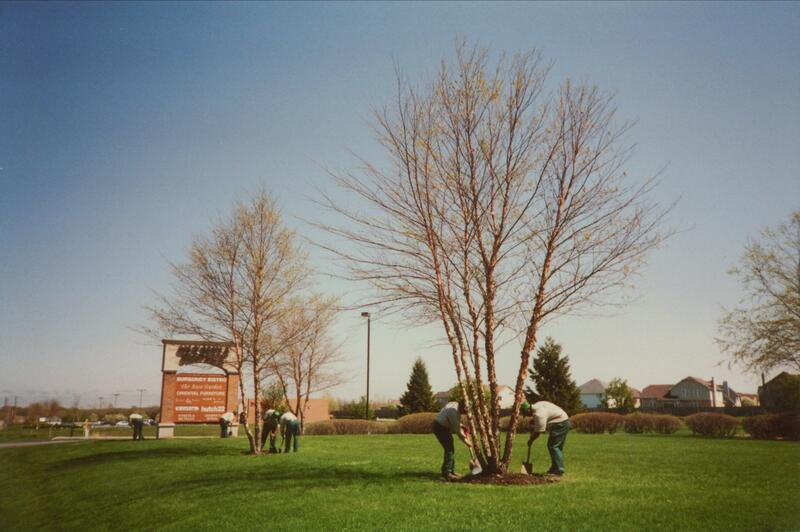 Fertilization of your shrubs is an often overlooked service that we highly recommend. 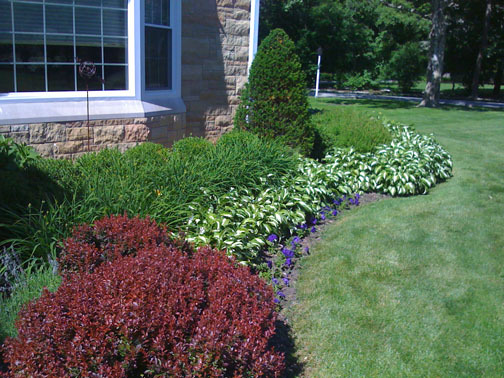 Shrubs, like your lawn, require nutrients to grow and thrive. 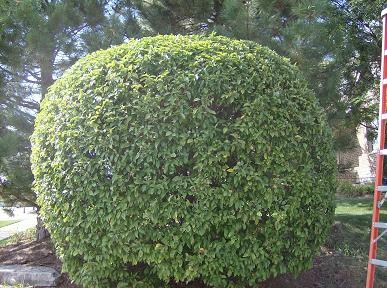 Our shrub care service can not only can fertilize your shrubs, but also treat them for disease and insect infestation as well. When trees shed their leaves, inevitably some land in the rain gutters of your home or business, clogging the down spouts and causing them to over flow. Our maintenance department can help with this nuisance, as a service we offer the removal of the leaves and other tree debris from your gutters and down spouts. We also can wash out any roof sediment or soil debris as well. 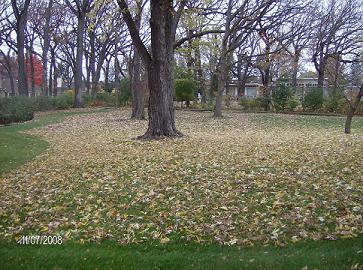 Every fall our decidious trees in the chicagoland area will defoliate and loose their leaves. These leaves are as unsightly as they are problematic. If left on the lawn, the lawn can stress and even die off. Cleaning up the leaves is only half of the work these days, the other half comes in the disposal of the leaves. Suburban Landscaping can handle both parts of the problem for you.